Oxford Plastic Index Card File, 400 Capacity, 6 1/2w x 4 7/8d, Black - Index card boxes feature an innovative lid that has a special lid to hold cards in a propped-up position for hands-free reading. Distinctive upscale design enhances any office. Durable card box is made of extra-durable plastic for lasting performance. 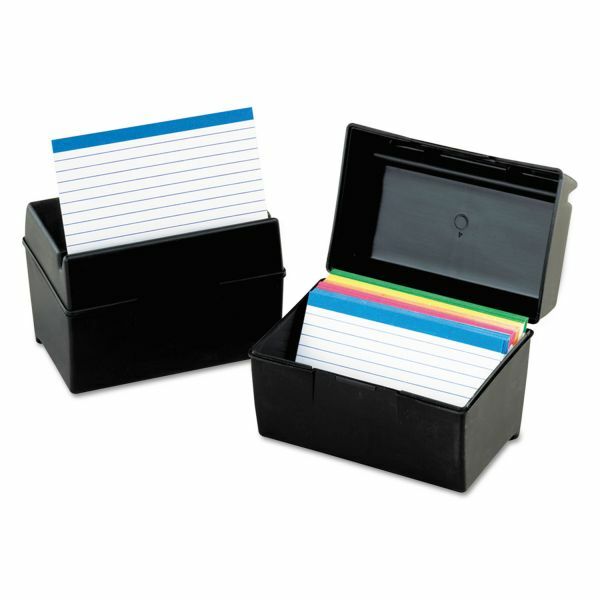 Box is designed for use with 4 x 6" index cards and guides."